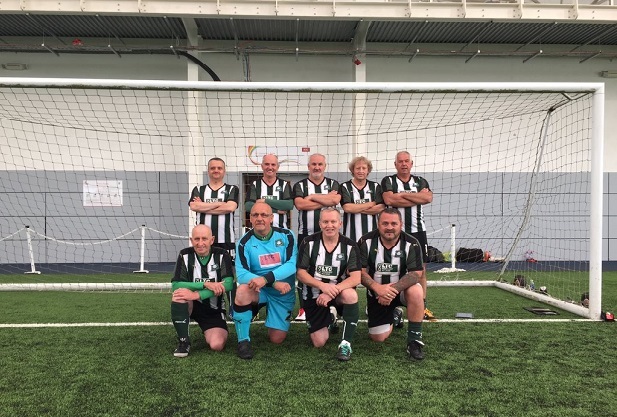 Plymouth Argyle Football Club Community Trust’s successful walking football programme is making a real difference to the lives of men rediscovering their love of the game. 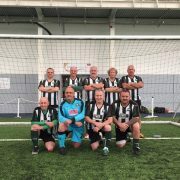 Staged every Monday at the Goals Soccer Centre in Plymouth and with Walking Football also running at two Cornwall centres, this new sport is ideally suited to men over the age of 35 who want to stay fit with the game they love. Military veteran Tony Wills was introduced to Walking Football through a Help for Heroes scheme and it has proven to be a valuable tool in his battle against a debilitating condition. “The H4H Walking Football Programme has been very beneficial to me personally as it reintroduced me back into a competitive sport that I’ve always loved but, through injury, wasn’t able to play regularly,” said Tony. “I’m diagnosed with Complex Post Traumatic Stress disorder with symptoms like flashbacks, memory loss, depression, lack of self worth etc etc. The list goes on but one of the best things to help is exercise, as it gets rid of unwanted aggression and it also helps remind you that you were good at something once.